Have you read the whole book and would you recommend it? Yes I have read this book, last year. 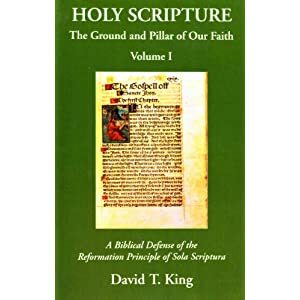 If you're going to read it, make sure to first read my overview of Lortz (linked in the post above).While Lortz charges Luther with subjectivism, he still does have insightful comments about the Reformation in the first half of the book. If it's a concise Reformation you're looking for background from a Roman Catholic scholar, this book would be a good read. okay...thanks James. perhaps will buy them both then. Along with this older but viable post, would go the following also which helps provide context for the Reformation, which is contrary to the anachronistic reading into it that many RCs engage in. ► The Avignon Papacy (1309-76) relocated the throne to France and was followed by the Western Schism (1378-1417), with three rival popes excommunicating each other and their sees. 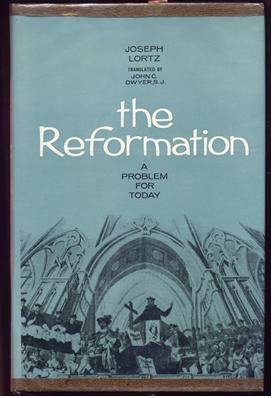 Referring to the schism of the 14th and 15th centuries, Cardinal Ratzinger observed, "For nearly half a century, the Church was split into two or three obediences that excommunicated one another, so that every Catholic lived under excommunication by one pope or another, and, in the last analysis, no one could say with certainty which of the contenders had right on his side. The Western Schism was thus at an end, after nearly forty years of disastrous life; one pope (Gregory XII) had voluntarily abdicated; another (John XXIII) had been suspended and then deposed, but had submitted in canonical form; the third claimant (Benedict XIII) was cut off from the body of the Church, "a pope without a Church, a shepherd without a flock" (Hergenröther-Kirsch). It had come about that, whichever of the three claimants of the papacy was the legitimate successor of Peter, there reigned throughout the Church a universal uncertainty and an intolerable confusion, so that saints and scholars and upright souls were to be found in all three obediences. ..there is no actual standard of what gap of time is acceptable, and what gap would break succession. Thus, it is simply impossible to say what gap is acceptable. For example, according to a typical list of popes (example) there was no pope during the whole years 259, 305-307, 639, 1242, 1269-1270, 1293, 1315, and 1416, not to mention the many partial years. That's over a half dozen breaks of over a year. - http://turretinfan.blogspot.com/2010/11/romes-meaningless-claim-to-unbroken.html .